Next generation technology meets an environmentally sustainable self-leveling underlayment. 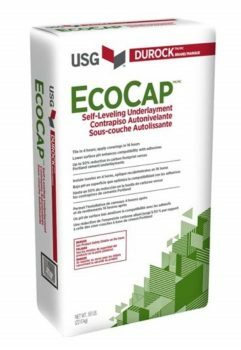 Durock EcoCap Self-Leveling Underlayment is an eco-friendly, self-drying, cement-based product for use over concrete and wood subfloors. Ideal over concrete and wood subfloors in interior applications.